Add a sleek, exceptionally constructed stool in your kitchen that your guests are sure to appreciate -- the Werks Stool from the Inmod Signature Collection. This stool features an industrial design that gives it a timeless look and feel. In addition, the stool's deluxe frame will maintain its quality for years, while its sturdy seat provides exceptional support. 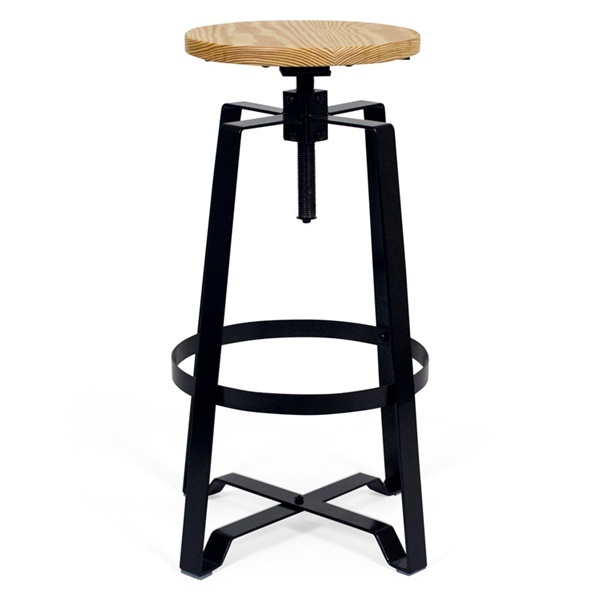 Enjoy a stool that will complement any kitchen's d�cor -- the Werks Stool. The stool's deluxe frame will maintain its quality for years. Features a sleek design that helps the stool stand out in any kitchen. Strong, sturdy seat provides exceptional support. Any furniture or decor where the hardware is worn on the outside is my go-to! I love this style, it's raw but refined. My whole place is in this style and it's always endless compliments whenever I have company over - these stools were fit right at home with the rest! got these for a steal! first time ordering industrial style furniture! Something about industrial style has always caught my eye and sparked my interest, this is my first time ordering furniture with this look and I'm happy I ordered from here because they arrived on time and resemble the pictures flawlessly! super cool industrial design, absolutely love! thank you! Supportive build, high-quality, durable, attractive! Extremely content with this buy!